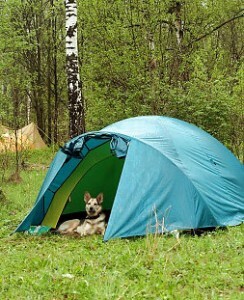 Dog camps have grown in popularity over the last few years. Many of them exist, offering a wide array of themes, purposes, designs, programs, and costs. Dog camps offer an excellent way to spend quality time with your dog. Although many dog camps are designed to offer basic training or competitive training, quite a few of them are now designed for vacation purposes as well. Since not all dog camps are designed for the same purpose, do your homework before you sign your pet up for a session. 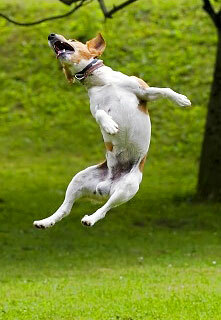 Some dog camps offer weekend only sessions, while other camps offer weeklong stays and even longer. The rules for adults who attend the camp with their dogs are often quite strict, requiring them to stay in attendance with their dog. If you are interested in showing your dog, a competitive training camp can be critical to his success. Your dog’s chances can improve dramatically with the specialized training offered at many of the dog camps. In fact, some dog camps are designed with an emphasis on training a dog to win at a dog show by improving his skills in the areas that he will be participating in. Specialized training classes will target the skills your dog needs in order to perform competitively in the dog sport that he is going to be entered in. Many dog camps offer introductory, intermediate, and advanced programs related to specific sports and training methods for dogs and their masters. Typical training programs might include seminars for agility, obedience, freestyle, flyball, rally, lure coursing, tracking, carting, field events, and canine water sports. Another popular camp style is the one that offers training or seminars in unique topics such as animal communication, pet tricks, search and rescue, and herding. Still others provide detailed classes in holistic care and canine nutrition. These types of classes often provide skills and knowledge for the owners of the dogs. Dog camps have also been designed to provide extensive training in pet assisted therapy care. It is important to note, however, that many of the programs that provide dogs for therapy care usually have a specific pet assisted therapy care training camp in mind. Attendance at a dog camp can open up a whole new world for both the dog and his master. New activities that might not be part of their world can be introduced to them, leading to a newly discovered favorite activity for the two of them. Although fewer camps that focus on children and their dogs exist, they are scattered throughout the country. Camps such as these typically offer shorter sessions due to the shorter attention span of most children. Registration is typically separated according to the age of the child at this type of camp. Moreover, registration is more limited in terms of the number of participants than you would find at an adult dog camp. Trainers and dog behaviorists are usually well-trained at these camps. Some of these individuals have achieved worldwide recognition, while others are still making a name for themselves. Other staff members at the camp might include veterinarians and breeders. Dog camps are not all about work and structured activities either. A certain amount of time is set aside for unstructured fun as well. No matter what the day brings to the schedule, both master and dog can experience a revitalization of the bond between the two of them, leading to a happier relationship between the two. This is not a comment, but a question are there any training tips for training a dachshund? Where are camps for adults with their dogs in Northern California? I need alot of tips on how to train my pup the basics..
Where is there a dog camp in Texas that teaches basic puppy training and socializing for a vacation as well as herding and agility sports for the family to stay at the camp or just day training?